Great idea: Tolovana Inn Gift Certificates. Certainly the easiest and most appreciated gift anyone can give is a getaway to an ocean front room at Tolovana Inn in Cannon Beach. To make the actual gift giving even more fun, Karen says, she puts a lot of creativity into wrapping a Tolovana Inn gift certificate in a big package. She’ll add items the family can use during their stay, like big beach towels, sand toys, and even flashlights. 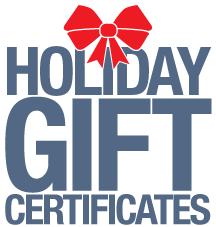 Gift certificates to Tolovana Inn make great holiday gifts for just about everyone, including parents, friends and even business associates. Throughout the year, consider giving them for Mother’s Day, Father’s Day, anniversaries or other special occasions. The gift certificates don’t expire, so the gift recipients can use them any time of the year for a welcome getaway to the Oregon coast. To purchase a Tolovana Inn Gift Certificate, please call 800-333-8890. Certificates can be mailed to you or directly to the recipient. It’s one gift that will not be returned! 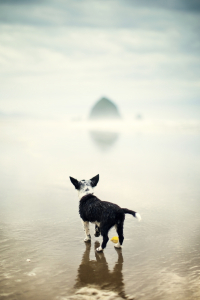 Cannon Beach’s Stormy Weather Arts Festival, November 7-9, 2014. Some of the Northwest’s most notable artists will converge on Cannon Beach as the community hosts its annual fall celebration of the arts at the Stormy Weather Arts Festival, November 7-9. Art galleries and local businesses will present special exhibits, artist demonstrations and host receptions for guest artists over the three-day festival. It’s another great reason to stay at Tolovana Inn. The festival’s signature Friday night event is “Art in Action,” where artists represented by Cannon Beach galleries will demonstrate their techniques in painting, carving or sculpture. Participating artists are: Josh Henrie, Jeffrey Hull, Hazel Schlesinger, Sharon Abbott-Furze, Marianne Post, and Pamela Wachtler-Fermanis. Collector- quality finished works will be for sale at the event during a silent auction that will also feature vacation packages from the Columbia Gorge/Hood River, Mt. Hood, The Dalles, Skamania Lodge and Cannon Beach resorts. 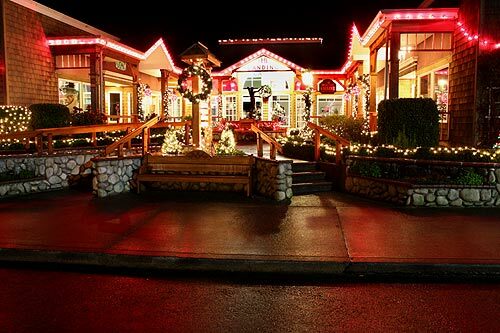 The night includes a wonderful appetizer buffet, wine, and live music by Bucky Pottschmidt. 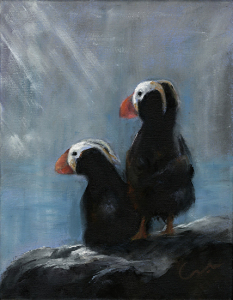 Throughout the weekend, visitors will be able to attend gallery receptions and meet guest artists. More than twenty musical performers will be featured throughout town. On Saturday night, the festival showcase event will be a concert by Cooper & The Jam, recently named one of Nashville’s Top 5 Artists on the Rise, in concert at the intimate 200-seat Coaster Theatre in what will surely be a memorable night. She performs with power and tenacity. Cooper and her extraordinary band have been killing it in Music City and stealing hearts across the country. Born and raised in the rural Oregon coastal mountain range, she moved to Portland OR and put herself through college while performing in local night clubs Upon graduation, she moved to Nashville, TN where she recently recorded her second album. She has performed at Portland’s Waterfront Blues Festival for the 2nd straight year. Doors open for festival seating at 7:00 pm and the concert will start at 7:30 pm. A limited number of tickets are available for Art in Action and Cooper & the Jam concert are still available. Tickets for Art in Action are $55 per ticket or $99 for two; and concert tickets are $35 each. To purchase and find out more about tickets purchases, click here. Gallery visitations will last through Sunday until 5:00 PM. Welcome to the new Tolovana Inn web site, specifically designed to view perfectly on a your Desktop, Tablet and Mobile devices. We hope you will take a few moments to look around the site to see what we can provide to assure your visit is memorable. And, remember, all of your family members (pups, too!) are welcome in our Ocean Front and Ocean View Suites.